In the early years of the existence of Planet Earth’s remolding and reforming, the Creator of the Universe unveiled what were later be called the “Acts of the Creative Power of G-d.” Even before the era of Adam and Eve in the garden called “Gan Eden”, the forces of nature, under the control of the Almighty G-d of Creation, the universal forces were at play with the remodeling and remolding of Planet Earth in preparation for a homeland for humans of His Divine Creation. The forces of nature came from the celestial angelic powers that were under the guide and command control of heaven at the Throne of the Divine. Each planet we can observe in the heavens today are vortex zones or conduits where the power of the Divine streams through them to the object of His distain and judgment or the recipient of His protection and redemption. The Middle East was the center of then-known world but the power drama was centered around the city’s post Babylonian and Persian exile fortified city of Jerusalem. It was not until the height of the power of the Kingdom of Judah when the prince descendants of the famed rulers of Jerusalem, King David and Solomon, became a threat to the Assyrian Empire. This was an imperial state known for its ruthless and merciless cruelty upon the inhabitants of the region. This real-life drama was being portrayed daily around the world by the ruthless power of the Assyrian King Sennacherib. Per the historical insights of the Rabbinic literature, the Prophet Isaiah was a descendant of the royal house of Judah and Tamar. (Sotah 10b). He was the son of Amoz, the brother of King Amaziah of Judah as noted in the Talmud tractate Megillah 15ra. As such the Prophet Isaiah was the uncle of King Hezekiah and therefore a cousin of King Uzziah; in whose reign the “sun stopped and turned backwards” in days of an earthquake that was documented by the visual testimony displayed on King Uzziah’s sundial. King Hezekiah (729-686 B.C.E.) with all the citizens of Jerusalem were sitting inside the walls of Jerusalem while the huge force of Sennacherib, king of Assyria (705-681 B.C) were assembling outside on the surrounding plains. A vast sea of warriors in full military armor were glistening in the sun, 185,000 in all, was an ominous site to behold. The Prophet Isaiah had an illustrious career as historian, cosmologist, and prophet, and he also had the ear of the king. It was the Prophet Isaiah with the apt attention and blessing of King Hezekiah that a massive preparation was made to fortify the city of Jerusalem. As Isaiah sat in the counsel of the King Hezekiah, he waited as Hezekiah was now standing before the Shekinah in the Holy of Holiest, with clothing rent, begging and beseeching the guidance of HaShem as he presented the demands of surrender by the Assyrians to the last remnant of God’s people. 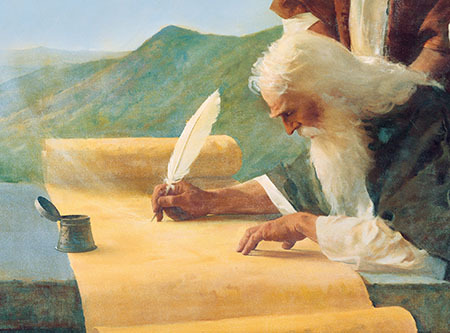 The Prophet Isaiah, the court counselor and seer was about 65 years old. He had an illustrious career as an historian, cosmologist, and prophet: and he also had the ear of the king. It was the Prophet Isaiah with the apt attention and blessing of King Hezekiah that a massive preparation was made to fortify the city of Jerusalem. This included drilling a tunnel under the City of David so that the water supply sources would be protected and sustain the Jewish people inside the walls of Jerusalem. So, a tunnel was carved under Mount Zion, by the order of the King, Hezekiah and the external source of water at the Gihon Spring was directed under the wall of the city and fortified outside against the military forces of Assyria. This was the last reference to the Ark of the Covenant, the Cherubim and the Shekinah in Hebrew scripture. When Isaiah received the diplomats of the king’s court with the demands of the king of Assyria, Isaiah had already done his homework. Judaean King Hezekiah and Jerusalem endured a siege led by Assyrian king Sennacherib when his 185,000 warriors were destroyed by a Bolide Fire from the Heavens. There was at one location that was Jerusalem’s most vulnerable military asset; there was one spring, the Gihon Spring, that provided a continuous flow of water for the Jewish people literally trapped inside a city and whose destiny appeared to be on the pathway of eventual national annihilation. The Massive Water Tunnel carved under and inside the walls of Jerusalem from the Gihon Springs higher up protecting a water supply for the population of the city of Jerusalem. As Isaiah sat in the counsel of the King Hezekiah, he waited as Hezekiah was now standing before the Shekinah in the Holy of Holiest, with clothing rent, begging and beseeching for the guidance of HaShem as he presented the demands of surrender by the Assyrians to the last remnant of G-d’s people. So, a tunnel was carved under Mount Zion, by the order of the King, Hezekiah and the external source of water at the Gihon was directed under the wall of the city and fortified outside against the military forces of Assyria. This translation (NKJV), though technically is correct in its translation, “Surely I will send a “spirit” upon him”, may have considerably missed the literal impact of a literal historical catastrophic event. What a difference this meaning takes! G-d did not send his ‘Divine Spirit’ as some would consider his Holy Spirit, the Ruach HaKodesh. As Sennacherib had ‘utterly destroyed’ the lands in this scorch earth massacre, so also the L-rd of hosts would treat him; as the king and his forces would be utterly destroyed by G-d’s ruach, or bolide “blast” from the heavens. The land surrounding Jerusalem was soon a metal filled vortex zone as the almost 200,000 military warriors laid on the ground and around them lay their military hardware, shields, swords, helmets, and body armor. The landscape outside the wall of Jerusalem was soon to become a “ground” where a powerful magnetic bolide would be “cast down” upon the field of sleeping soldiers. The hundreds of acres of served as a reception ground as a field of metal drew to the earth a million-volt flue or bolide of fire from the heavens. The Nation of the Northern Kingdom of Israel first felt the long arm of human terror in 725 B.C.E. when Shalmaneser V (727-722 B.C.E.) invaded Israel and marched on to Samaria, the capital city of the Northern Kingdom of Israel located in Shomron and Judea today called the “West Bank”. For three years, the capital city lay in siege and finally fell to its destruction in the year of 722 B.C.E. During the final onslaught by Sargon II, (722-705 B.C.E.) general of the army and eventual successor to Shalmaneser; the Northern Kingdom of Israel also felt the wrath of Assyria. Judah, in the 4th year of Hezekiah, also now came under the control of Assyria by sending tribute to the Assyrians. The Prophet Isaiah was powerful human force representing the messages and warnings from the One G-d of Israel. The symbiotic relationship between the Prophet Isaiah and King Hezekiah was a powerful human force that was in an alliance with the angelic powers of the Divine. What is known is that Hezekiah, between the years of 701 and 690 B.C.E., spent extensive preparations to fortify the city of Jerusalem (2 Chronicles 32:2-6) awaiting the final onslaught. It was during this time the famous Hezekiah’s tunnel was carved beneath the limestone mountain called Mount Moriah. The Jewish tunnelers bore a 1777- foot tunnel from the well of Gihon in the Kidron Valley to the lower Pool of Siloam inside the walls of Jerusalem. (2 Chronicles 32:4,30, 2 Kings 20:20). Contrary to modern chronology, Sennacherib did not bring his forces to the walls of Jerusalem on 701 B.C.E., but more than likely about 684 B.C.E. On that day, the mighty forces of Sennacherib, the king of Assyria were annihilated by a mighty bolide, “Blast”, the electrical bolt or flue of millions of volts of electricity that was heard across the land. It appears that Sennacherib (705-681 B.C.E. ), the successor to Sargon II, had made a military incursion into the kingdom of Judah, the first, around 701 B.C.E., the 14th year of Hezekiah. (1 Kings 18:13) he attacked the fortified cities of Hezekiah and carried off tribute and booty. Hezekiah repented and offered to pay tribute. Though Hezekiah ruled from 729-686 B.C.C., the first fifteen years were co-regent with his father, King Ahaz (735-715 B.C.E.). So, fourteen years after he became sole rule in 715 B.C.C., Sennacherib came to Jerusalem and boasted that he made Hezekiah “prisoner in Jerusalem, his royal residence, like a bird in a cage”. Per the historical documents in the royal histories of the kings of Judah, Hezekiah paid 300 talents of silver, in which he had to clean out the coffers of the Temple of G-d, and 30 talents of gold, in which he had to tear down the front doors of the temple and remove the gold overlay in which he had earlier restored when he repaired the Temple of Solomon. Some scholars think that during this campaign, when he took the fenced cities, he also laid siege to Jerusalem. Others suggest that Sennacherib returned later, laid siege to Lachish, while he sent Rabshakeh, the chief cup bearer and spokesman for the king’s envoy, who was obviously multi-lingual as he spoke Hebrew, to deliver an ultimatum to King Hezekiah. Historical documents depict that Tirhakah was born in 708 B.C.E. At the age of 7, he was unable to wield an army against Sennacherib, so Tirhakah was also co-regent, with his brother, Shabataka (700 – 684 B.C.E. ), in 690 B.C.E. and reigned alone from 684 to 664 B.C.E. What we do know is that Hezekiah died in 686 B.C.E. Seven years later King Sennacherib was assassinated (681 B.C.E)., so Sennacherib’s confrontation with Hezekiah was sometime between 690 to 686 B.C.E. If there is a conclusion to this story, the Neshama Soul of King Sennacherib will someday in the future be placed the body of another Military Force Commander at the end of days. In the next article, we will explore who this military archetype will become at the “end of days” when the final calamities will fall upon the nations of the world. At the “time of the end” these celestial calamities will bring the divine judgment of G-d upon all peoples; depending upon our relationship, obedience and alliance with the powers of the heavenly archons. Isaiah 37:36 - “Then the angel of the Lord went out, and killed in the camp of the Assyrians one hundred and eighty-five thousand; and when the people arose early in the morning, there were the corpses-all dead. So, Sennacherib king of Assyria departed and went away, returned home, and remained at Nineveh. 2 Kings 19: 29-31 (Isaiah 37:30-32) – “This shall be a sign to you: You shall eat this year such as grows of itself and in the second year what springs from the same; also in the third year; sow and reap. Here were the blessings of the G-d of Israel, blessings that once again will reign down upon not only the Jewish people’s but also upon the Lost Ten Tribes of the House of Israel. ‘I am not going to do this for your sake, house of Yisra’el, but for the sake of my Holy Name, which you have been profaning among the nations where you went. I will set apart my Great Name to be regarded as holy, since it has been profaned in the nations – you profaned it among them. They will know that I am Adonai,’ says Adonai Elohim, ‘when, before their eyes, I am set apart through you to be regarded as holy. For I will take you from among the nations, gather you from all countries, and return you to your own soil. Then I will sprinkle clean water upon you…I will cleanse you from your uncleanliness…I will give you a new heart and put a new spirit inside …You will live in the land I gave to your ancestors. You will be my people, and I will be your G-d…When the day comes for me to cleanse you from all your guilt, I will cause cities to be inhabited and the ruins to be rebuilt. The land that was desolate will be tilled, whereas formerly it lay desolate for all passing by to see. “Is “Planet X” God’s Divine Judgment during the Final Apocalypse of Redemption?